Has a weight fluctuation or pregnancy left you with stretch marks that you cannot bear the sight of? If you are wondering as to how you will deal with the stretch marks, then we have the solution here. Olive oil is a wonder oil that will improve your skin texture and also help you get rid of stretch marks when used correctly. We tell you here how to use olive oil for stretch marks removal and get marks free smooth skin that you can flaunt. A stretch mark is a scar that is caused when the dermis tears due to stretching of the skin during a weight fluctuation. The marks are off color scars on the skin in places where the weight gain or loss has occurred. Hence, it is common to find stretch marks in regions where a large deposition of fat occurs, namely the stomach, breasts, buttocks, hips and thighs. Stretch marks can be removed by regular exfoliation of the skin which will remove the dead skin cells and cause generation of new cells. This process can be accelerated with the help of a massage which will improve the blood circulation to the region. The exfoliation will cause shedding of the older skin and cause newer and less scarred skin to be developed in its place. Why Olive Oil for stretch marks? Olive oil is rich in antioxidants and in vitamin E. When you use olive oil to massage the skin, it moisturizes the skin and causes the blood to gush in towards the skin surface. The nutrients in the oil nourish the skin. This in turn promotes the production of collagen in the skin. When collagen production increases, the skin is renewed and become more supple. This will help fade away stretch marks. How to use Olive Oil for Stretch Marks? There are three ways to use Olive Oil to treat stretch marks. Many DIY Body Scrubs use olive oil and with a good reason. The oil is unbeatable when it comes to the amount of nourishment it can provide. The first step towards removing stretch marks is to exfoliate the skin well. So mix together two tsp of olive oil with 1 tsp of brown sugar and 1 tsp of coffee grounds. Make a smooth paste and apply this all over the parts where you have stretch marks. Smooth it into the skin in 1″ clockwise circular motions. Keep scrubbing until you see the skin turn slightly reddish. This is the sign of blood flow improving. At this point, stop and let the scrub stay on the skin for about ten minutes. Follow it up with a hot shower. Doing this weekly helps in diminishing stretch marks and cellulite. 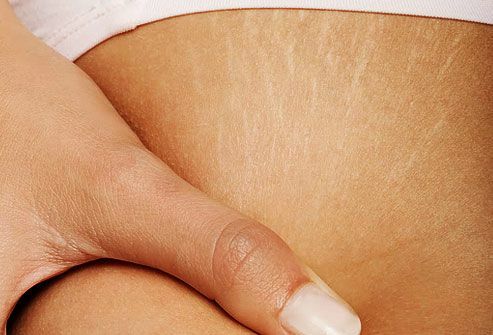 This is the most popular treatment for stretch marks. Regular massage with olive oil helps in skin rejuvenation which will fade away stretch marks. In a microwave or over a flame, warm about half a cup of olive oil and massage it onto your skin in quick long strokes. Let your skin soak in the oil for about half an hour. Follow it up with a warm shower. Do this at least twice a week, preferably in the night, since skin renewal is at its peak during night time. What’s better than a massage with olive oil? A massage with olive oil that is enriched with other stretch mark fighting ingredients. To make this oil, mix together half a cup of olive oil with the oil from two capsules of Vitamin E tablet, and two tsp of wheatgerm oil. Pour this into a bottle and use it to massage your skin twice or thrice a week before bath. These treatments are effective but take time to show results. 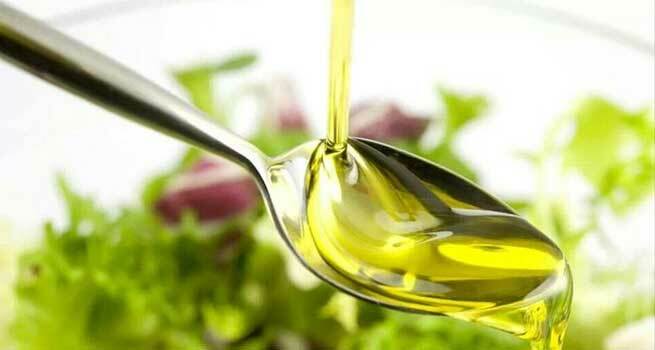 Do not expect changes within a week of usage of olive oil for stretch marks. With time, the marks will start fading and will diminish and your skin will become soft and supple.